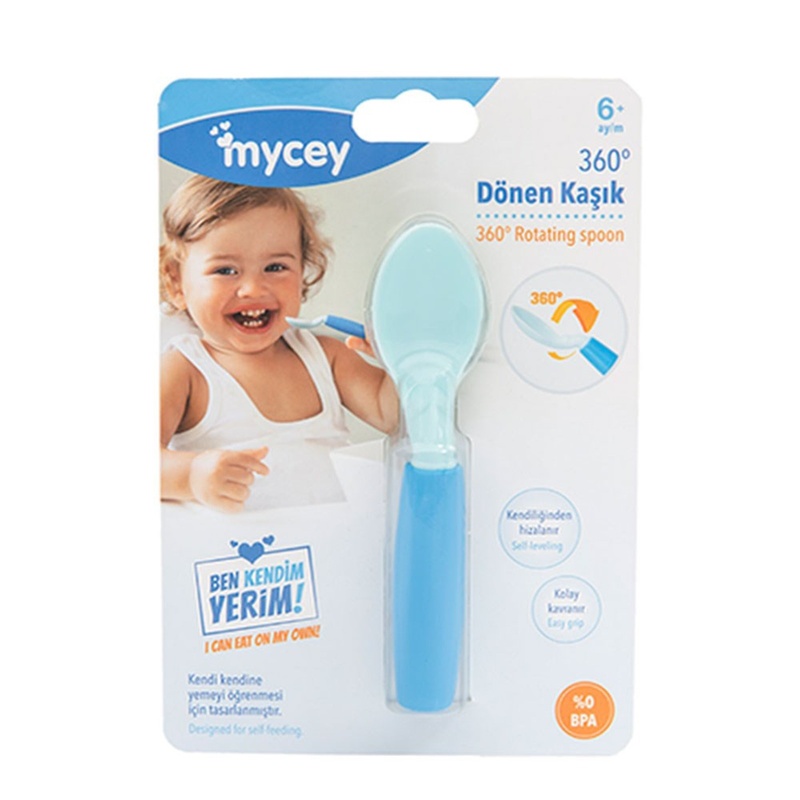 With MYCey 360 degree spoon, meal times turn into fun. 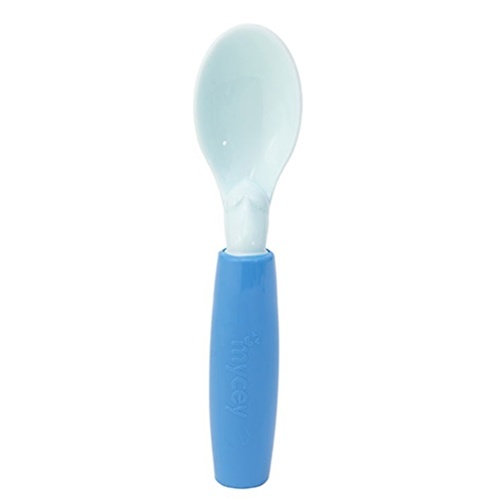 The spoon specially designed for children who learn to eat by themselves, even when not properly held, rotates on its axis and flush with the handle. Help your child take more food into his mouth. Improves hand coordination and accelerates the transition to the use of normal spoons. Spoon depth is particularly suitable for dense liquids such as soup, fruit puree. 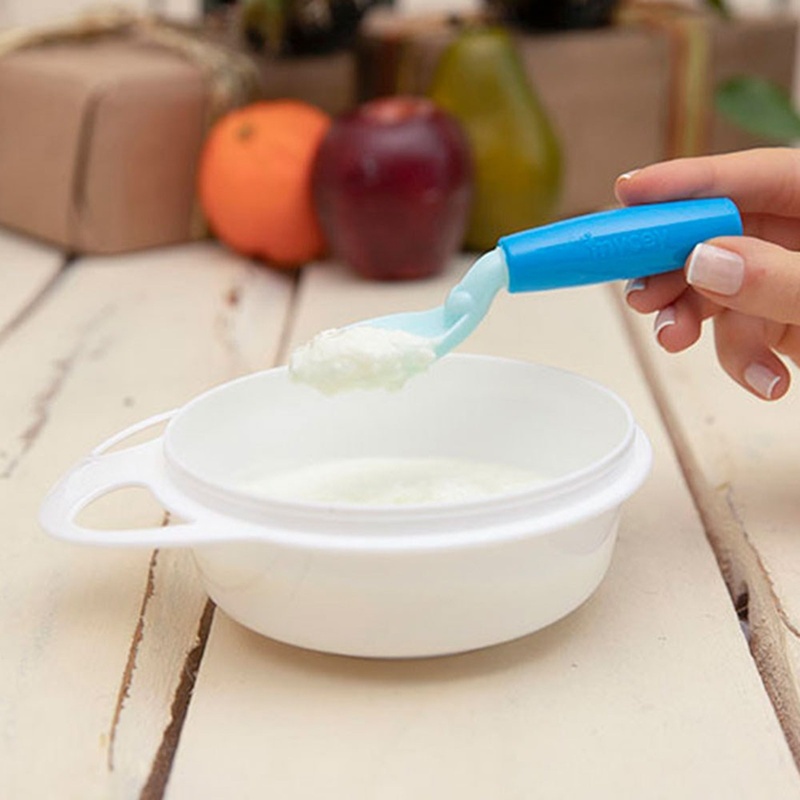 It teaches the baby how to eat while creating less confusion for parents. Wide handle for easy handling. The spoon remains flat when the food is taken to the mouth. Directs babies to independent eating habits. Always wash and rinse with soap and warm water before first use. It should be washed with warm soapy water and rinsed before the first use and after each use. 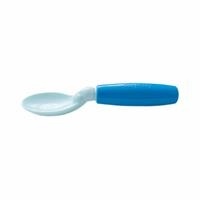 It can be easily divided into two parts for easy cleaning. You can also wash the dishwasher's fork-spoon. Do not boil or place in sterilizer.